For courses in undergraduate Macroeconomics courses. Macroeconomics uses a thoroughly modern approach by building macroeconomic models from microeconomic principles. As such, it is consistent with the way that macroeconomic research is conducted today. This approach allows for deeper insights into economic growth processes and business cycles–the key topics in macroeconomics. 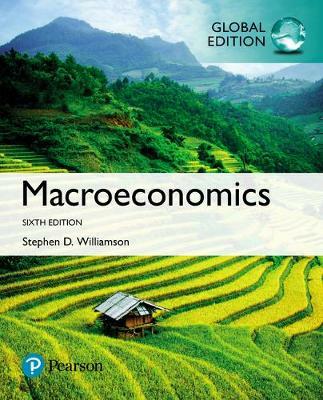 An emphasis on microeconomic foundations better integrates the study of macroeconomics with approaches learned in microeconomics and field courses in economics. By following an approach to macroeconomics that is consistent with current macroeconomic research, students become better prepared for advanced study in economics. The 6th Edition captures the latest developments in macroeconomic thinking, applied to recent economic events and developments in macroeconomic policy. With the financial crisis receding, new challenges that macroeconomists and policymakers currently need to address are covered in the text.